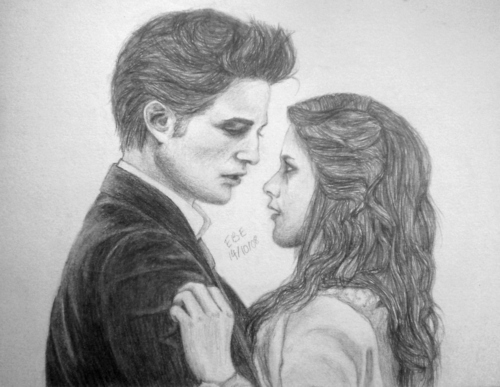 Edward & Bella Drawing . I think this is REALLY good. . HD Wallpaper and background images in the Twilight Series club tagged: twilight bella swan edward cullen. the one who drawed this, has really got a talent !! !